As I mentioned in my Week 3 Meal Plan, this week was TOUGH. I was pretty busy, had a sick toddler half the week, and just wanted ALL the foods I cannot have. Whole30 can be hard. And I have to tell you all… I cheated. 🙁 And it wasn’t an accidental “I have nothing to eat and I might pass out if I don’t have nourishment immediately” type of cheat. It wasn’t even a “hey, those pumpkin pancakes that I made my son look good and I’m really hungry” type of cheat. It was premeditated. I could’ve NOT done it. But once I made up my mind, I was having blue cheese on my burger this particular day. And you know what? While I am dedicated to this way of eating MOST of the time, I don’t have a really strong driving force this round. 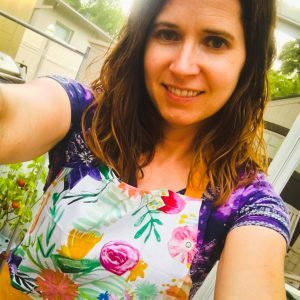 I’m doing The Whole30 this time as a reset for me and my husband, and to benefit my mom, who is living with us right now. Not that those aren’t important reasons, but they don’t have the emotional pull that my previous two rounds did. I have already been through the really important Whole30… my first one. When I had big health gains to make. I needed to feel better, needed to get my hormones under control, and needed more energy. And I got them! When I went through reintroduction the first time, I learned what foods bother me. I eat pretty close to Whole30 every day, because I want to keep my energy and my health as optimal as possible. But I can have blue cheese; it doesn’t really bother me. So I did – on Saturday of Week 3. And on Sunday, I was back to The Whole30. I didn’t let this derail me or allow the consumption of massive amounts of brownies. I reminded myself that I am human and that The Whole30 cops won’t come arrest me. And I moved on to Week 4. The first time, I needed to feel better to keep up with my then two-year-old. Then the next round, I needed to set a good example for my mom, who wants to make significant health improvements to be around for her grandson. Those were good reasons that pulled me to stick with it. So find your reason, write it down and just keep swimming! « The Hopelessly Inept Gardener?